Three elegantly braided straps adorn the casual Sundown sandal by White Mountain shoes. 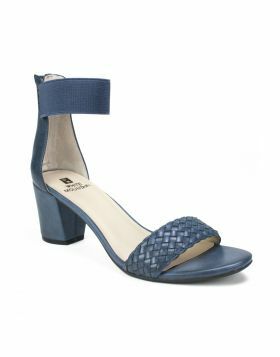 Soft sueded insole provides comfort and chunky wooden stacked heel for style. Zips at the back for effortless on and off. Three elegantly braided straps adorn the casual Sundown sandal by White Mountain shoes. 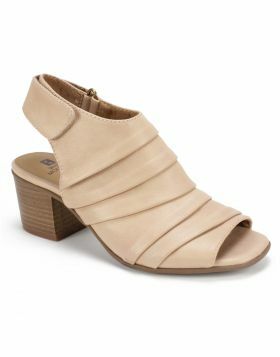 Soft sueded insole provides comfort and chunky wooden stacked heel for style. Zips at the back for effortless on and off. Heel Height: 2 1/4 inches.